As I made myself comfortable on the plane I realised, this is it, there is no going back! 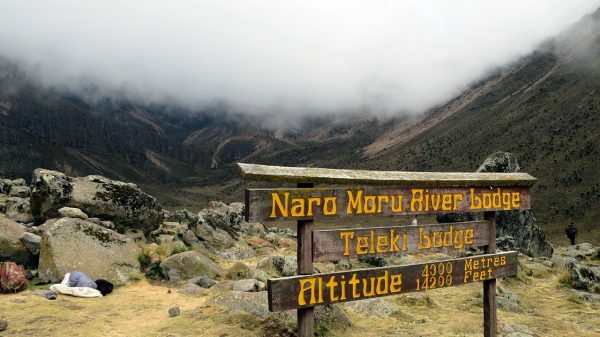 Months of preparation, nerves and excitement have led up to this; I am going to climb Mt Kenya! After a night of travelling, I touch down for a short stopover in Addis Ababa to meet Dave (one of my fellow climbers) before travelling down to Nairobi together. 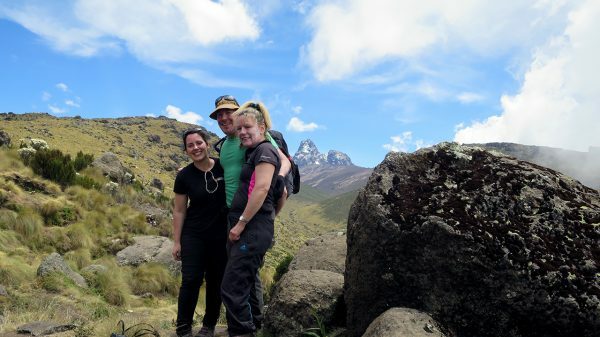 Mid-morning and we are in Kenya, we wait for Kate (our other fellow climber) and we spend the night in Nairobi. We are all nervous and excited for the next few days. 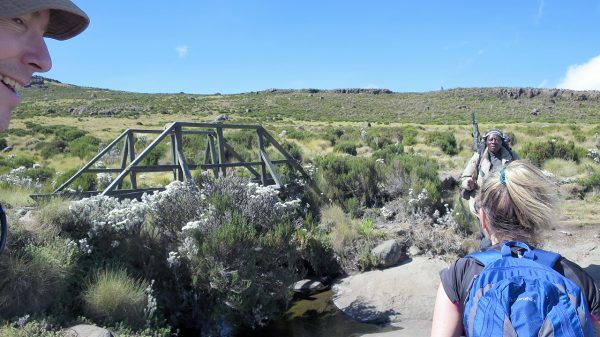 We set off early to Nanyuki (a town known as the ‘gateway’ to Mt Kenya National Park) and arrive around lunchtime. After some lunch, we set off for our first leg of the climb. This part of the climb is like a hike in the forest and after a while, we all start feeling the (slightly strange) effects of altitude. Our guide, Charles is patient and keeps telling us ‘pole pole’, which means slowly slowly. After a few hours we get to our stop for the night, it is very basic but adequate. We have a hot meal and socialise with the other climbers who are from all parts of the world, some very experienced in climbing and others complete novices. As soon as the sun goes down, it becomes bitterly cold. It seems strange talking to our new-found friends with hats and gloves on but this cold has (naively) taken me by surprise. Before going to bed, I go outside in the hope of ticking something off my bucket list – to see a whole sky filled with stars. I am not disappointed – I have never seen so many stars in my whole life! The milky way drapes the sky beautifully and I feel so lucky to be here, right now. My fellow climbers call at me to come inside, we need to go to sleep and the temperature is dropping. I settle in my sleeping bag and drift off to sleep knowing the ‘real’ climbing starts tomorrow. We wake up quite easily without an alarm, it was so cold I struggled to sleep. After breakfast, we start the next leg of the climb blissfully unaware of how tough today is going to be. The scenery is beautiful, ranging from stunning plains to lush vegetation. After a few tough hours we stop to eat our packed lunch, most if it has got squashed in our bags but we don’t care, we are hungry! After lunch, we continue to climb and its starting to get tough. Charles can see we are becoming tired, so suggests we take a break – I am exhausted. As I lay down on the grass, I can hear a stream nearby and see clouds passing by over me, I didn’t realise we were so high up. After our break, we continue for another few hours until we reach our stop for the night. When we get there it’s all too much for me and I need some moments to myself. After confiding to my fellow climbers how tough I am finding it, we make the decision to have a rest day the following day (as opposed to summiting). Charles also agrees with us, after dinner and looking at the stars again, I go to bed comforted by the idea of a rest day tomorrow. 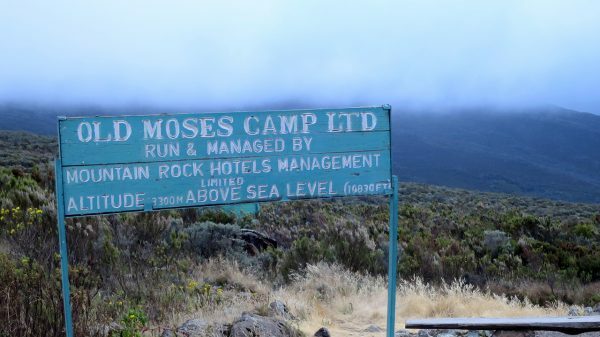 It’s 2am and the moment we have been waiting for finally arrives – we are going to summit Point Lenana! We layer up, fix torches to our clothes and start the ascent. About half an hour I start to feel sick and can’t feel my hands, the feeling becomes overwhelming, so I stop and call Charles. It appears I had not followed Charles’ advice and put on too many layers and had overheated, which was making me feel sick. The higher up in altitude the body goes the more the blood vessels constrict, this is what was giving me the pain in my hands. Charles whips off his backpack and pulls out some ointment and starts rubbing it in my hands, after about 5 minutes I can feel my hands again and the relief is immense. Despite all the drama I seem to be creating, I take a moment to look up at the sky to see the stars and remember the excitement of seeing them on the first night, this keeps me going and despite the cold and the intermittent snow, we continue to slowly climb. After more than a few hours, we can finally see the peak! 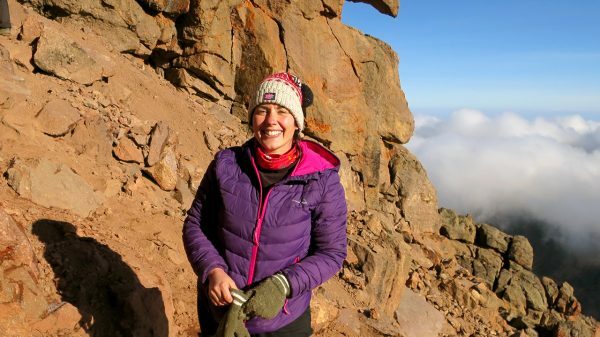 Adrenalin must have taken over as we increase our pace and start scrambling to reach the top, we pass clouds and take a few moments to take some pictures before climbing onto the peak – we’ve done it! After 10 minutes at the top and taking some obligatory selfies, we realise what goes up must come down (including us) and start the descent. We are exhausted, hungry and overwhelmed but we have to keep going as it is still so cold. 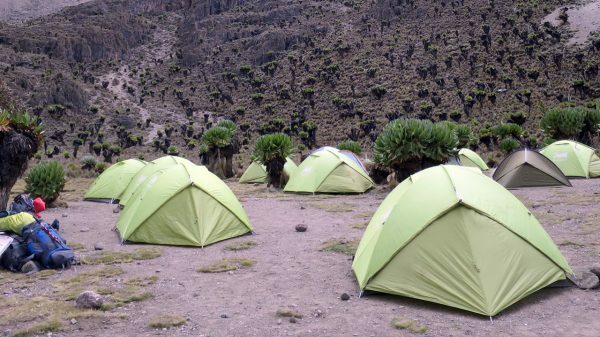 After a couple of hours, we briefly stop off at a camp for those climbing point Batain (the highest point of Mt Kenya reserved for experienced technical climbers only). To my dismay, it is only a brief visit before heading back down a further 3 hours to another camp where we stop for some food and a small rest. The afternoon is spent walking to the final camp before eating another meal and collapsing into bed. Despite waking up early, I feel refreshed but can feel the aching of my muscles setting in and the sunburn stinging on my neck. We can hear a strange thudding noise outside, I go to see what it is – and to my surprise it is monkeys – they are everywhere! We take some pictures before breakfast and start our final 10k down to the entrance of the National Park. As we walk down, we reflect on the past few days and can’t quite believe what we have achieved. We get to the bottom, say farewell to the porters and thank Charles for his invaluable help and patience. We all breathe a sigh of relief as the van door shuts and the wheels start turning, we are en route back to Nakuru! 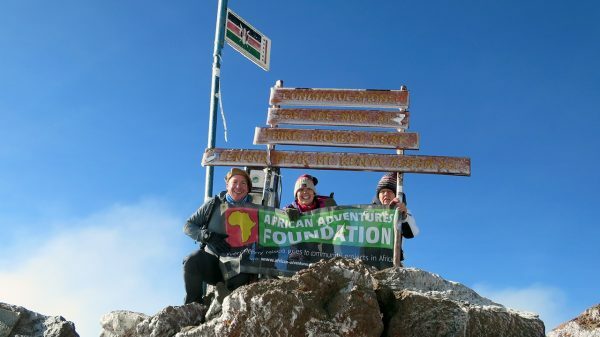 Between us, we have raised a significant amount of money for African Adventures Foundation which the UK and African teams are grateful for, but what they don’t know is how grateful we are of them to have been given this crazy opportunity. 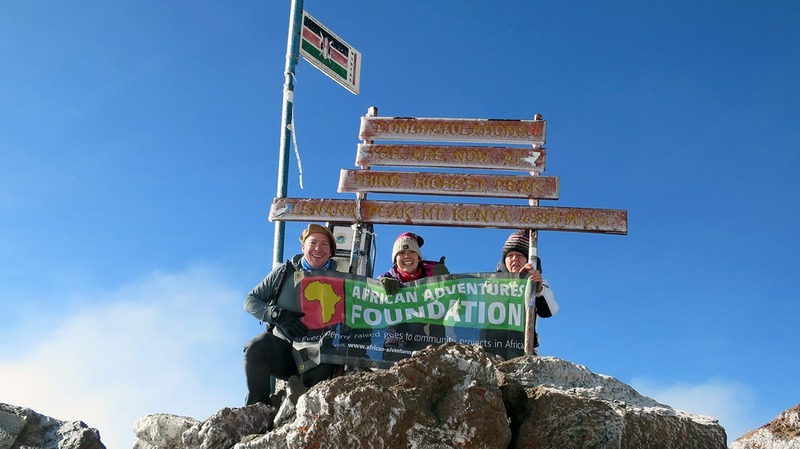 Climbing the mountain was a once in a lifetime experience and something I will never forget, but for my next fundraiser, I will have my feet firmly on the ground!